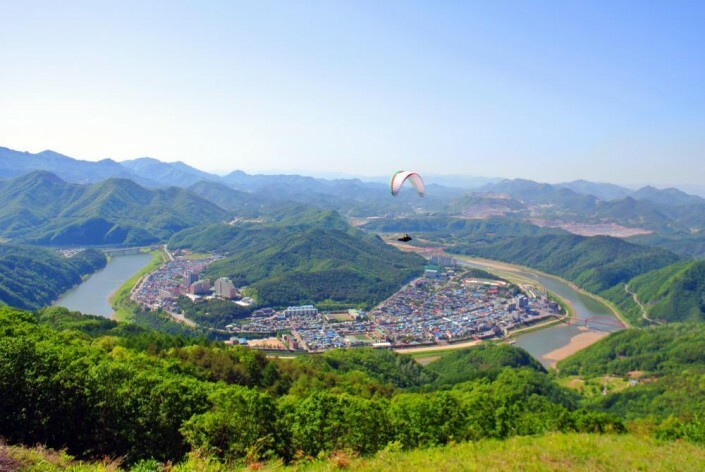 Perched by the lake, surrounded by three national parks and with caves and temples scattered all over, Danyang is considered North Chungcheong’s top attraction. The modern town of Danyang dates only from 1986, as most of the old city was submerged beneath the waters of the Chungju Lake. Just a 2.5-hour drive from Seoul, Danyang offers an endless list of leisure sporting activities. The most popular and famous one is Paragliding. 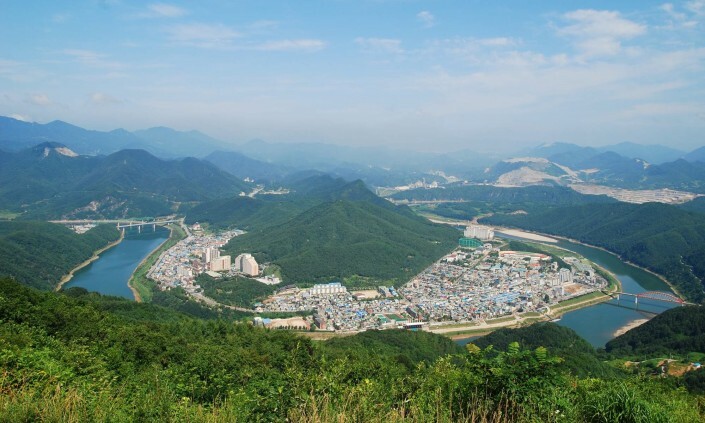 In addition to leisure sports, Danyang also offers various scenic attractions: the Eight Great Sceneries, Mt. Sobaeksan National Park, Guinsa Temple, Gosu Cave, and many other must-see spots. 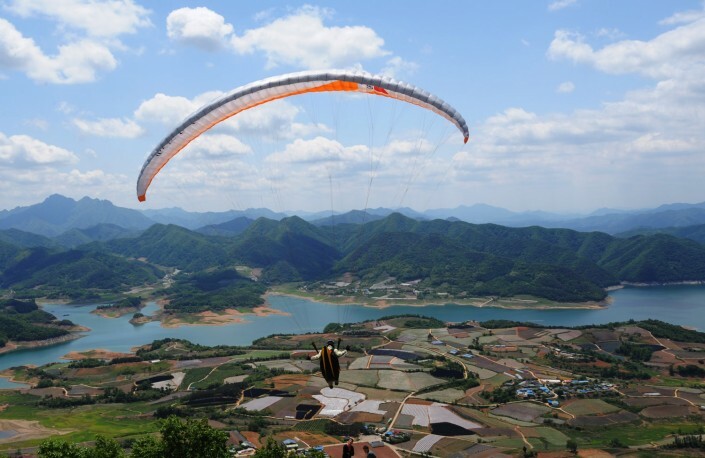 So join us on our Korea Paragliding Tour in Danyang to have some fun-packed activities and sightseeing! 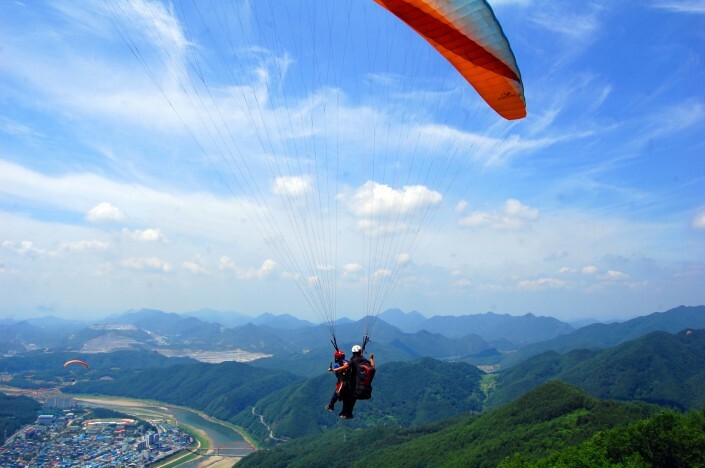 Danyang is THE spot if you want to go on an exciting leisure sports challenge. It offers two runways for paragliding: one on Mt. Yangbangsan and the other on Mt. Dusan. The first site is located close to downtown Danyang and offers a runway as well as a practice area where novices are given standard training before flying. This well-designed facility is the site of national and international paragliding competitions. Gliders take off from the peak of Mt. Yangbangsan, 650 meters above sea level towards the Namhangang River, flowing through the high mountains. The thrill and the sense of freedom are indescribable.